SOAR Online is a new s eries of FREE CE/CME training modules that you can complete whenever, wherever you like. Each module discusses the SOAR framework and how to apply it where you work to identify individuals who are at risk or who have experienced trafficking and connect them with the resources they need. 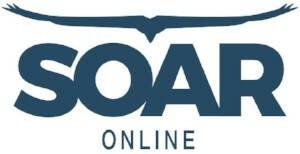 SOAR Online is designed to educate health care providers, social workers, public health professionals, and behavioral health professionals on how to identify, treat, and respond appropriately to individuals who are at risk or who have been trafficked. The target audience includes physicians, pharmacists, pharmacy technicians, registered nurses, dentists, psychologists, social workers, case managers, school counselors, public health professionals, health education specialists, and allied health professionals.